She is finished! I think she is more of a personal piece for me. I’m quite pleased with her exaggerated proportions and the white work details. 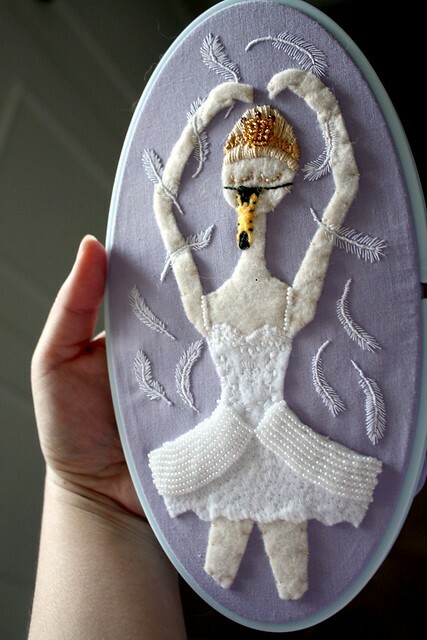 I’ve learned so much in doing the fine details such as the feathers. With each project finished, I feel more confident about my style, colour choices and my skills. I’ve been hand sewing close to four years now. 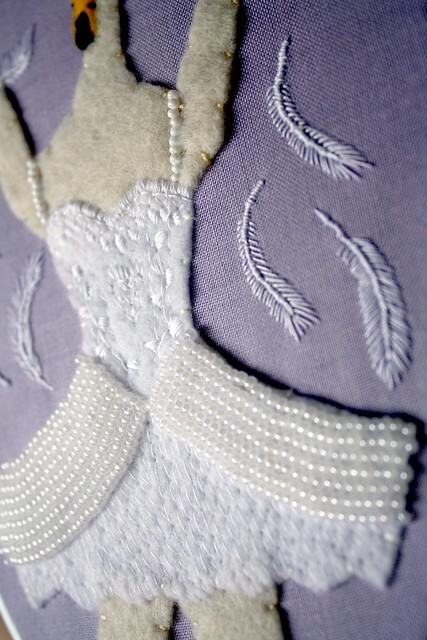 I started with learning to make doll clothes which I still do and yearn to do. I will be working on a magazine submission in the future. I’ve gotten into embroidery just this January and I am in love with the art. 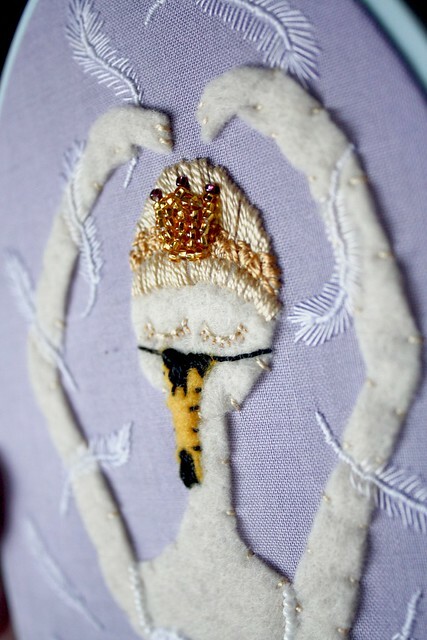 I find that with embroidery, the results match my ideas. It’s hit and miss with other pursuits. On another note, I do like having mini projects in between. I had enough time working on her to figure out what I need to do for Dorothy. Dorothy will be as intense and complicated as Little Red. I’ll be using the same sized hoop. I’m starting it tonight. NB. I have a writing themed post slated for tomorrow. You are currently reading Swan Girl at Sushi Candy.